It must be true that one's taste for things actually does change and evolve over the years...or maybe IT is just really good at reading my mind. Either way, the Elyse face sculpt is not one of my faves. Actually, she's way down there in my list. And yet here she is in my collection. Apparently, the world has gone topsy-turvy because I like the damn doll quite a bit. Well, for one, she looks damn good in lingerie! (By the way, I am aware that I didn't clip the suspenders on her stockings. It's called laziness.) Secondly, I like dark-haired dolls and this one has black hair. I'm also really digging her blue eyes on this incarnation. It stands out beautifully. And those lips look bigger than the usual Elyse that I'm used to. The biggest plus was that she came in a carry case as a gift set. Carry case dolls are pretty epic. IT hasn't done carry case sets in years and I wasn't a collector back when they did. Hooray for a nice doll in a carry case! Going back to changing tastes...not sure if that was it. 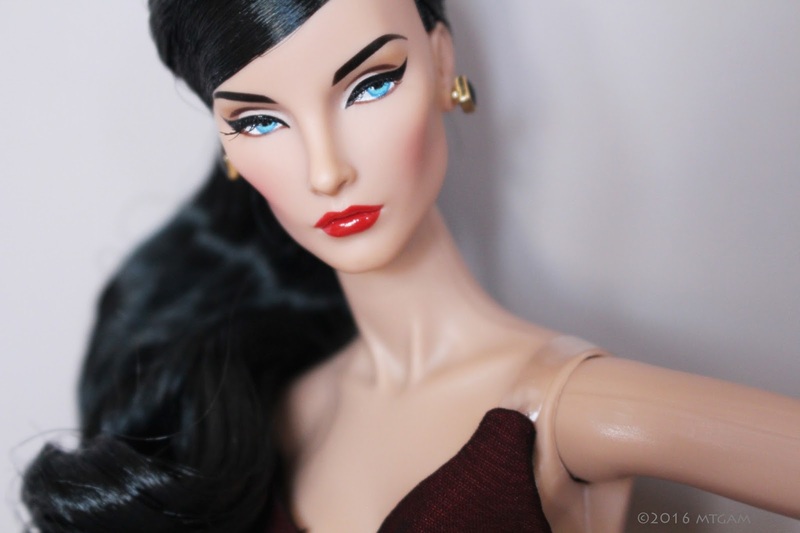 The silkstone Barbie dolls first came out in lingerie and that made me fall in love with them. Lingerie #5 in the silkstone line was my 'it' girl. This Elyse set has two full attires but it was the lingerie and her color palette that captured me. The other two outfits were just a plus. Did I mention that I'm loving the red and black combo? Oh yeah, and the delightful carry case...Get out of my head, IT! ...Wait, no, I take that back! I'm thoroughly enjoying this Elyse doll and look forward to future nice dolls in carry case gift sets. What a sharp jacket and skirt! Congrats on your Elise doll.